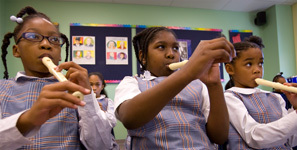 In the middle of one of the most marginalized neighborhoods of Philadelphia, Gesu School is a work of faith in action. 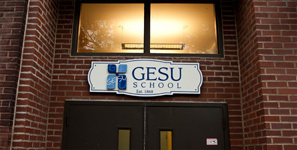 Rooted in the Catholic tradition of the Jesuit fathers and the Immaculate Heart of Mary sisters, Gesu is the collaboration of people of all faiths — donors, volunteers, parents, teachers, mentors, and people like you — who recognize the profound impact of Gesu on the lives of the young people that it serves. 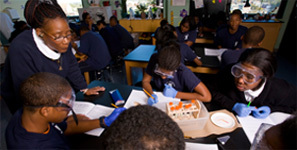 We invite you to enter the story of how a struggling inner-city parochial school became a national model for inner-city education, and how so many deserving youngsters find self-respect and life direction through their Gesu School experience. Not only are the children transformed by Gesu, but so are those who allow their hearts to be touched by it. March 14 is Gesu School’s One Day Giving Challenge! Announcing Gesu School's 2019 Spirit Medalist!